Nguyễn Trinh Thi, Eleven Men (2016), 28mm. The woman on her farewell to her first man in Eleven Men. 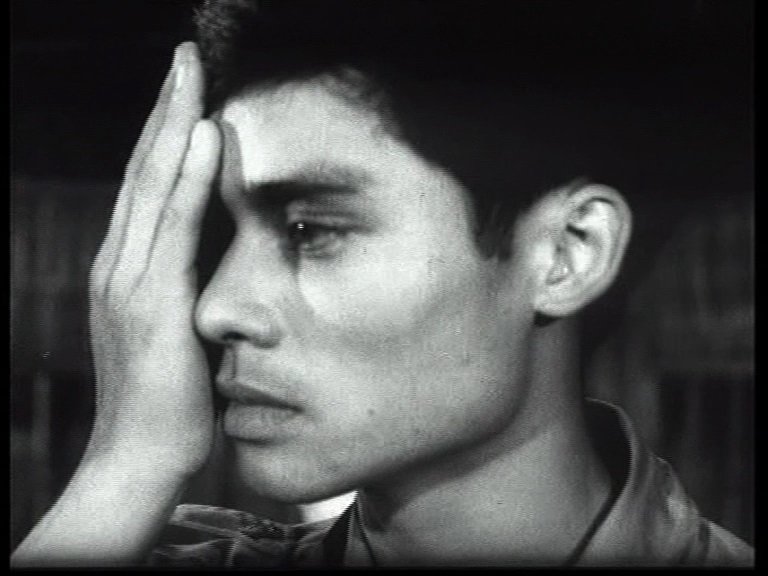 Footage from the movie Đến hẹn lại lên directed by Trần Vũ in 1974. Actress: Như Quỳnh. Image courtesy of the artist. Nguyễn Trinh Thi, Eleven Men (2016), 28mm. The woman with her 8th man in Eleven Men. 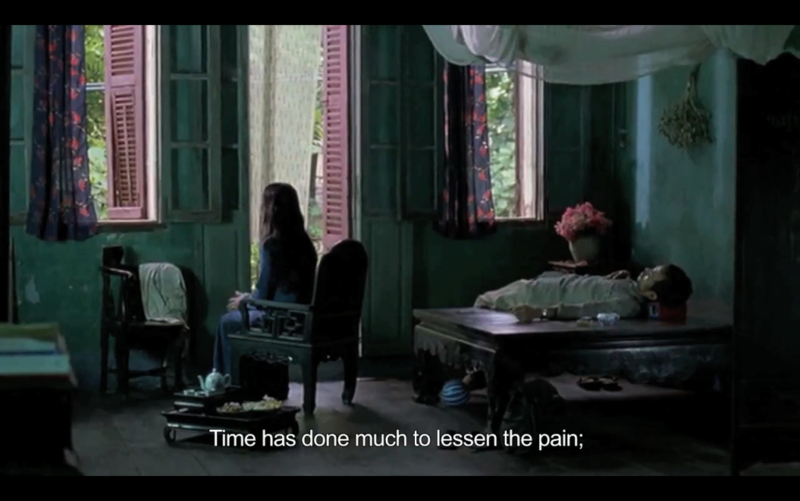 Footage from Vertical Rays of the Sun directed by Trần Anh Hùng in 2000. Actress / actor: Như Quỳnh & Chu Hùng. Image courtesy of the artist. Nguyễn Trinh Thi, Song to the Front (2011). 5:14mm. The woman in a role of a nurse in Song to the Front. 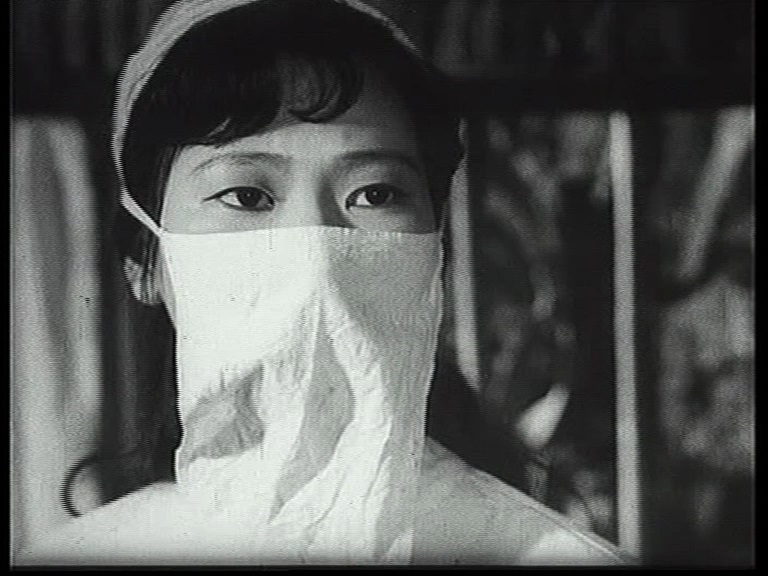 Footage from the movie with the same title directed by Trần Đắc in 1973. Actress: Như Quỳnh. Image courtesy of the artist. Nguyễn Trinh Thi, Song to the Front (2011). 5:14mm. The man in a role of a soldier in Song to the Front. 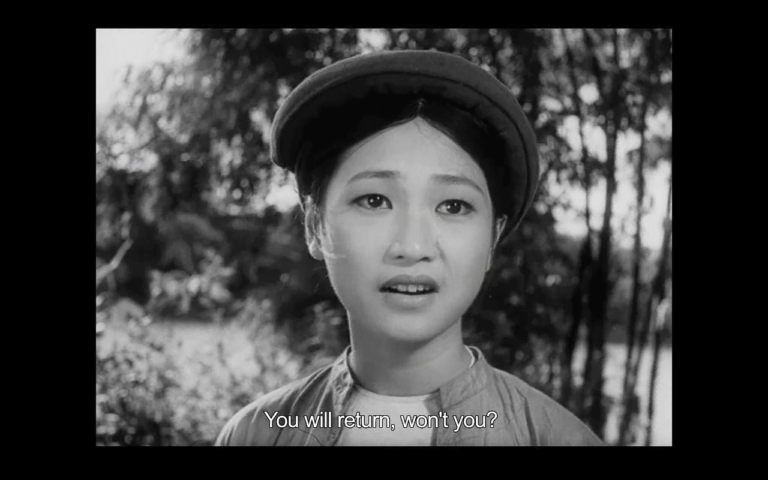 Footage from the movie with the same title directed by Trần Đắc in 1973. Actor: Dũng Nhi. Image courtesy of the artist. 註1. “The Old Wood Has Closed” in Collection of Yearless Songs by Trịnh Công Sơn. Music Publishing House, Hanoi 1998: 206-207. 註2. John C. Schafer, 2007. “Death, Buddhism, and Existentialism in the Songs of Trịnh Công Sơn.” Journal of Vietnamese Studies 2.1, Winter 2007: 184. 註4. “Report of Central Committee of The Communist Party of Vietnam at the 6th National Congress on 15.12.1986: Visions and Aims for Socio-economic Development in five years 1986-1990” in The Communist Party of Vietnam: Collection of The Party’s Documents. National Political Publishing House, Hanoi 2006, Vol. 47: 481-541. 註6. Rachel Rits-Volloch, 2016. “Hero Mother: An Introduction” in Hero Mother: Contemporary Art by Post-Communist Women Rethinking Heroism. Momentum Berlin 2016: 24.